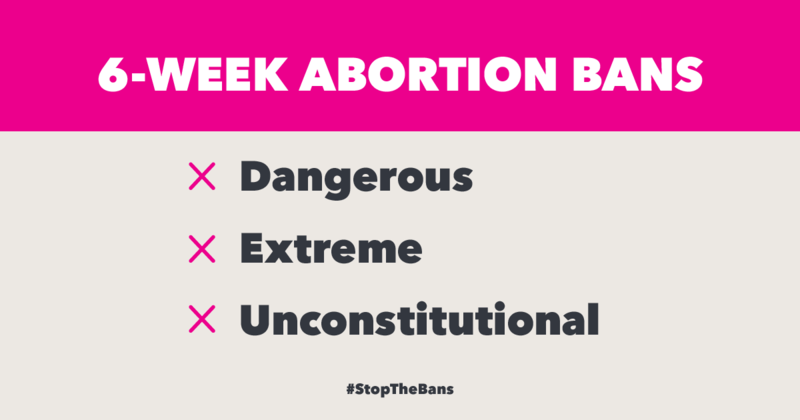 Six-week abortion bans are effectively an outright ban on abortion. Why? Because 6-weeks is before many people even know they're pregnant. Don't let our rights be taken away. Add your name to say: No bans. Not now, not ever.